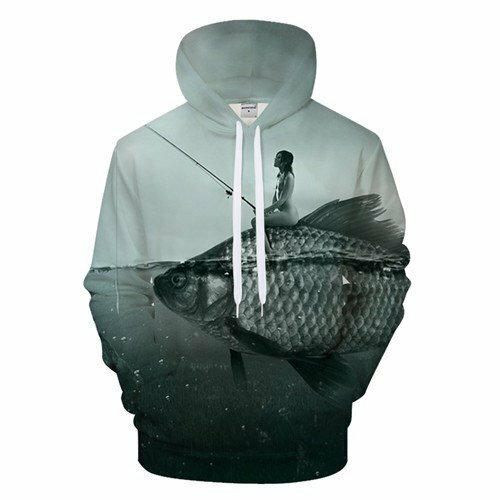 If you are interested in fishing, you will undoubtedly like this beautiful woman fishing on a fish hoodie. 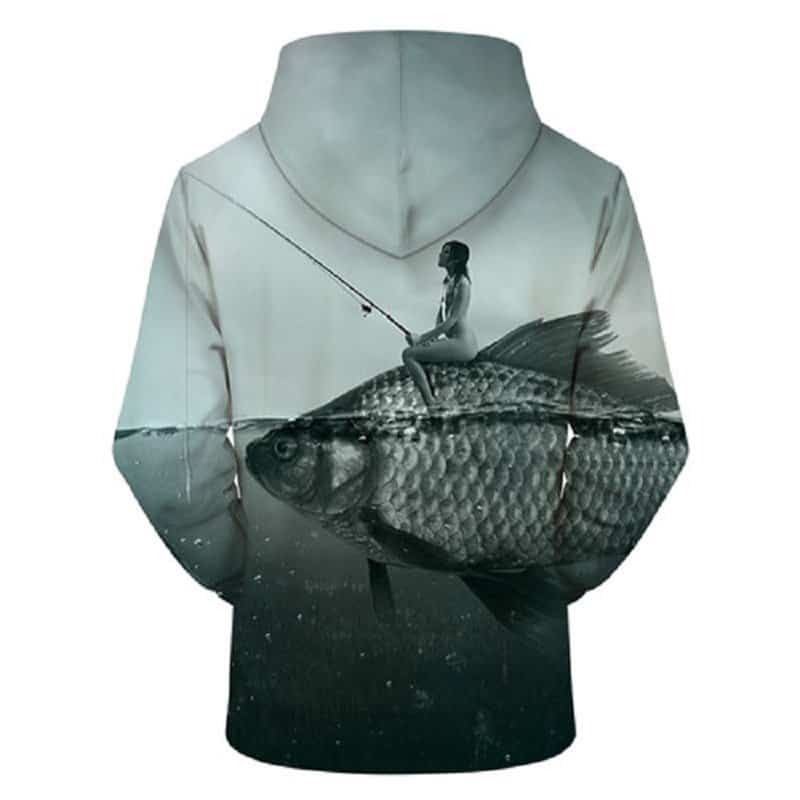 Quite a mouthful, but this fishing hoodie captures the imagination of pure beauty. Featuring a beautiful woman fishing while sat on a giant fish, it plays on the beauty of this world.